Gorgeous pink blush that makes the skin glowing and comes with a beautiful packaging and embedded hearts on it? Who can possibly say ‘No’ to that? Meet the most beautiful blush that I have ever laid my eyes on – Physicians Formula Happy Booster Glow & Mood Boosting Blush in Pink (here). I had wanted to try this beauty for ages (purely because of its cuteness, not gonna lie) and when I finally managed to get my mitts on it it definitely didn’t disappoint. We bonded straight away and now I am obsessed. 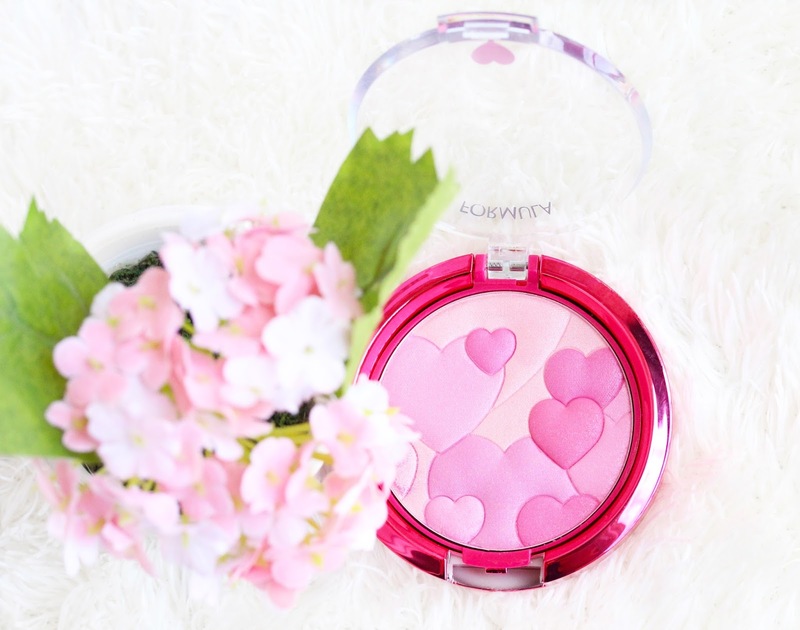 The Happy Booster blush in Pink is made of four stunning pink shades in the form of cute little hearts. Swirl your brush all over the palette to evenly mix all the colors and enjoy the most gorgeous iridescent cool toned pink shade. It is one of those pick-me up blushes that instantly brighten up and perk up the dull-looking skin. Happy Booster has multi-reflective pearl particles in it, which highlight the cheeks beautifully and add lovely healthy glow to the skin. This little pot of perfection is the perfect everyday, natural look companion and if you are after a non-shimmery blush that still adds subtle sheen to the cheeks – look this way. Being my first Physicians Formula blush, I didn’t know what to expect but I am happy to tell you that the formula of Happy Booster completely blew me away! The soft, almost buttery texture of the blush makes the application process a child’s play and it just glides on the cheeks like a breeze. It feels incredibly lightweight and doesn’t look cakey, which is always a plus. Even though it has slight sheen to it, Happy Booster doesn’t accentuate dry patches or larger pores *phew*. This gem is the right amount of pigmented – not chalky, yet not too pigmented that you risk looking like a clown. Its lasting power is out of this world with eight (!) hours of wear without fading. Absolutely brilliant! The Happy Booster Glow & Mood blush has completely stole my heart and the incredible dewiness it gives to my complexion, mixed with my preferred cool pink shade is a killing combination. Definitely approve! Have you tried this beauty! Which is your favorite Physicians Formula product, I need to try some more? I have yet to try any of the Physician Formula Happy Booster items, and one of my best friends is in love with it. I will definitely have to think about trying something soon! Plus, their packaging and designs are so cute! It sounds so good, the texture too! This looks stunning! I'm really lacking in blushers so I'm going to have to try to get my hands on this! 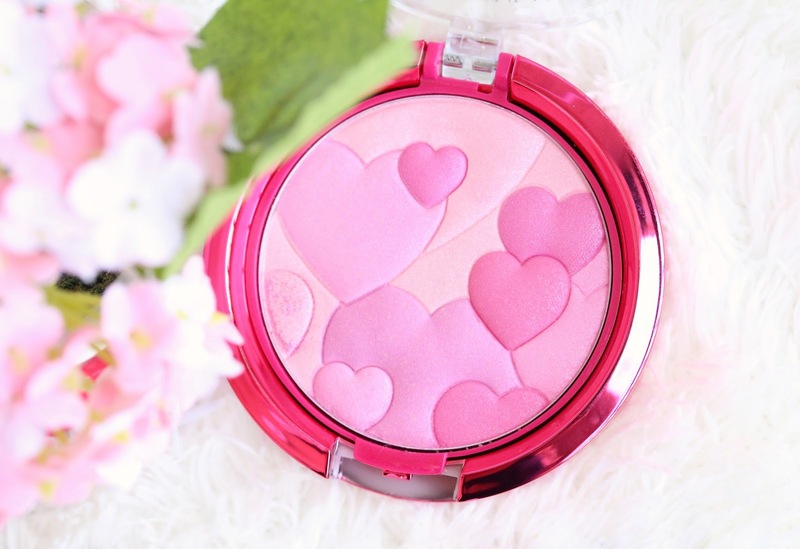 This blusher is gorgeous, I'd buy it just for the lovely heart design. I have one of the blushes from this line! It is absolutely fantastic! Love the color payoff and pigmentation on these blushes! Such a very pretty blush! The packaging is just too cute. I think I need to try this stuff out! Physicians Formula do such unique packaging, I've been eyeing up these blushes for ages! I got this in a makeup swap and I absolutely love it! It's gorgeous! I just want this as it looks so pretty, who cares what it looks like on when it will look good on my dressing table! I haven't tried any Physicians Formula products yet. :) But that is one beautiful shade of pink blush. Lovin' those little hearts design too. This looks gorgeous, it's a shame we can't get Physicians Formula in the UK. Ох,всеки път щом видя продукт на тази марка започвам да слюнкоотделям! Много добра работа правят с опаковката,явно и със самите продукти. Страшно ми допада идеята,че използваш натурални съставки и имат органични продукти. :)) Жалко,че ги няма в България. i quite like the color pay off of these but i really dislike the bulky packaging.